Sometimes screen shots just aren’t enough to explain how to do something or to show the steps you took to reproduce an error. 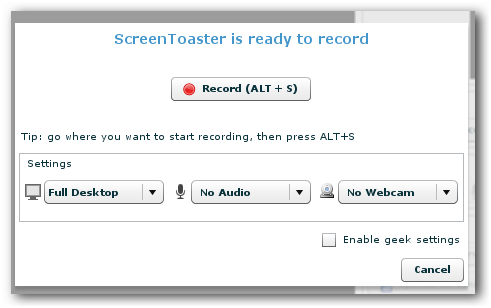 There are a few tools available that will let you record your desktop but none are as easy, free, or cross platform as Screen Toaster. 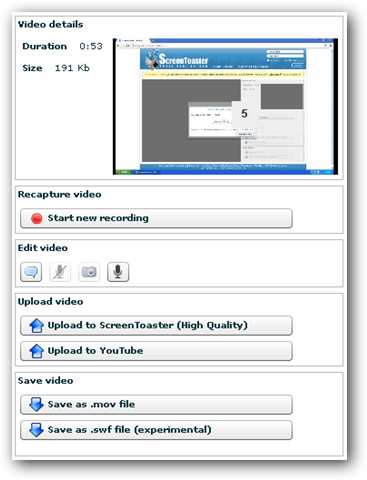 Screen Toaster is a Java-based screen recorder that will work on any operating system that has Java and Flash player installed. This may be something that doesn’t need to be said, but in order to record your screen with Screen Toaster you will need to have Oracle’s Java and Adobe’s flash player installed. Please download and install both pieces of required software first. 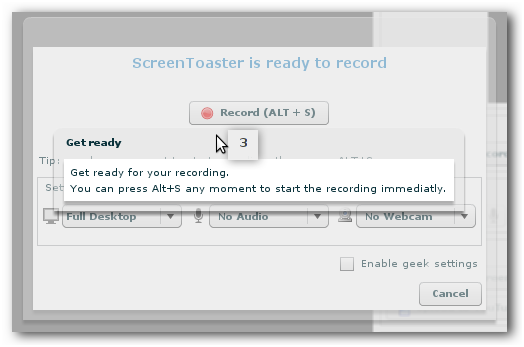 Next just go to Screen Toaster’s website (link below) and click “start recording”. 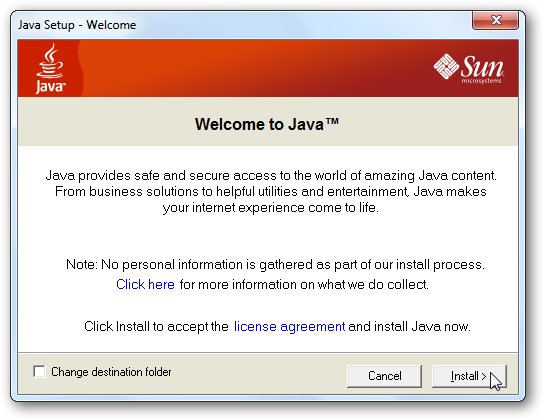 Allow the Java program to run when prompted. 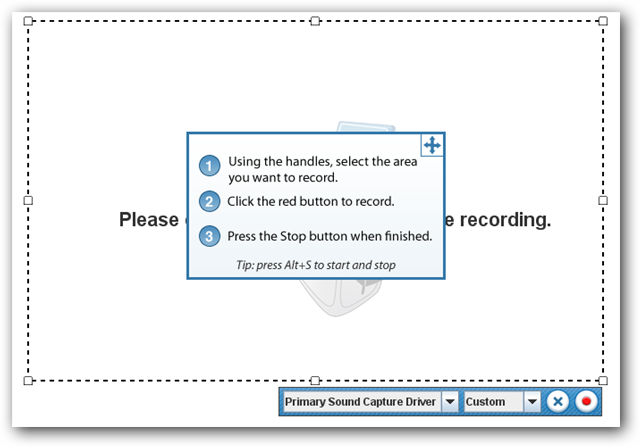 Select options to record the full desktop or just part of it, and if you want to record with embedded audio or webcam feed. The geek settings will also allow you to chose your playback speed and give you the ability to record a monitor on a remote computer with VNC. Click record or push the shortcut key Alt+S. Once the recording is done you will have options to re-record the audio, add captions, upload the video to YouTube or Screen Toaster, or download the video so you can have the file for further editing. 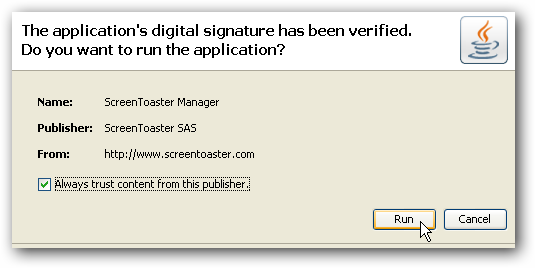 If you want to try the latest and greatest you can check out Screen Toaster beta. It provides better quality but doesn’t support all OS’s and features yet. The interface is a little different but it is still just as simple and just as free.